Put in simple terms, the quality of your image is tied to the resolution. Every image you upload is created from lots of tiny dots, each capturing a little piece of the overall image. The greater the DPI (dots per inch) the more detail you’ll capture in your images. If you have a low resolution image (anything >150dpi), you’ll find it looks a little pixelated, blurry and lacking in detail. With higher resolution images (300dpi), there is more information stored giving you a crisper, more defined image (and a bigger smile when you open your books) which is better for everybody! You might find an image and think ‘this looks spot on’ and then be a little surprised when we ask for a higher resolution version. 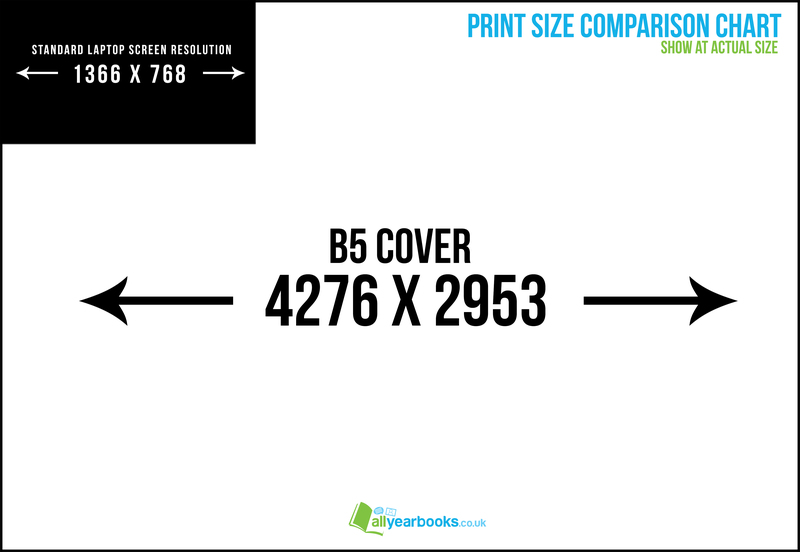 This is because print resolution is generally much larger than screen resolution, click the image below if you don’t believe me 🙂 quite a difference right? You wouldn’t be pleased if your books arrived looking less than perfect and nor would we be so as a general rule for logos, you’ll need to chat to a staff member- usually anything you’ll find online is teeny-tiny and sadly there is no magical way to make transform them into beautiful high quality images for you. clarity– does the image look sharp and clear? source– where has this image come from? Could I find a better version from somewhere else?